Half zip striped hoodie with a floral thumb hole detail. Fit: True to size with good stretch. Care: ﻿Wash in cold water inside out. Hang dry. 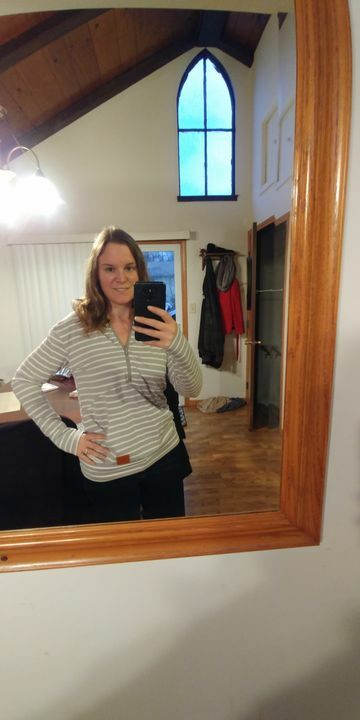 X-Small: Bust 38" Length 26"
Jackie Angelotti S. Reviewed by Jackie Angelotti S.
This hoodie is super comfortable and versatile. I love it!!! Michelle Rae L. Reviewed by Michelle Rae L.
This hoodie fits incredibly well! So comfortable and casual...just the way I like it! 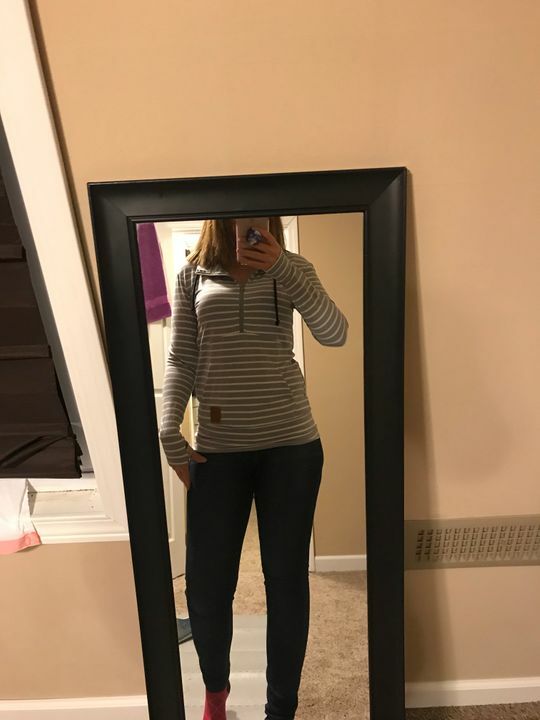 Very stretchy but very fitted. Not very warm but comfy. Not soft on the inside. I gave this sweatshirt only three stars because for me it didnt live up to its hype. Although well made I feel the fabric could be more cottony and its a bit small fitting.